How to drink your way through the rainbow in London's pubs and bars. Image via Old Red Cow. It would be all too easy to start our bibochromatic journey with a Red Lion. London has at least 26 (see our map). 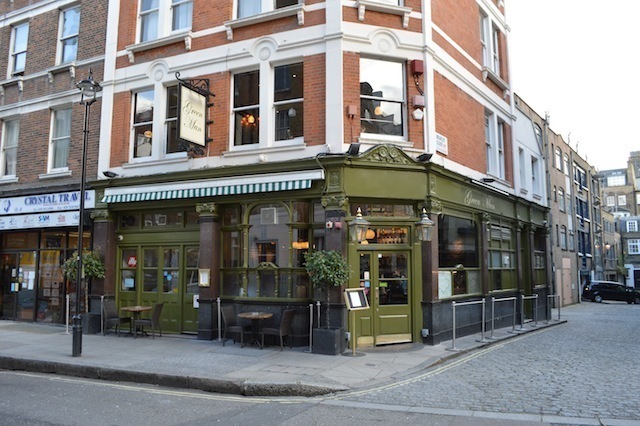 But let's take our first sip of the rainbow in one of central London's finest pubs, the Old Red Cow in Smithfield. The moo-some name recalls the famous cattle market that traded in Smithfield for centuries. The ORC is a tiny place, often full to capacity. 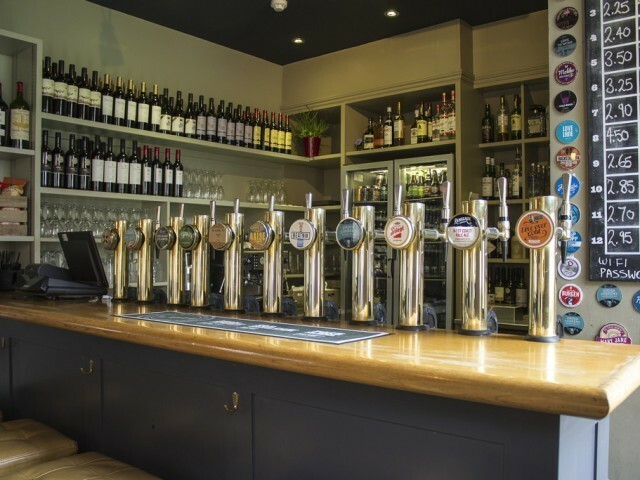 Catch it at a quiet time, however, and you'll enjoy one of London's most convivial drinking spaces, with the best real ale and craft beer selection in Smithfield. Once the Elizabeth line opens, this place will find itself heavily over-subscribed, so get a table while you can. London contains a small crop of Orange Tree pubs, with zesty locals in Winchmore Hill and Richmond, among others. Pimlico even has a straightforward The Orange. Pick of the bunch though, surely, is this delightful countryside inn in the ancient and picturesque village of Totteridge. It has a sleepy countryside feel, a world away from the busier areas of Finchley and Barnet between which it is sandwiched. 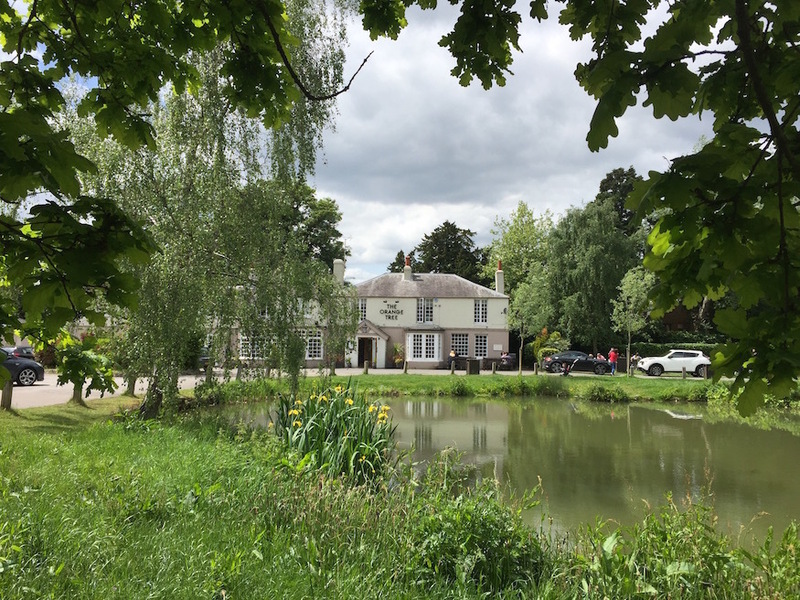 The focus is on dining — with pub grub of the quality you'd expect in a village whose residents have included Roger Moore, Cliff Richard and Arsene Wenger — but drinkers are also very welcome. The Orange Tree is a little out of the way, and most people are either local or drive (or both). However, the 251 and 326 buses stop right outside. We can't quite hit the jackpot with yellow. The closest thing is the Yellow House in Surrey Quays — well thought of, but more of a bar/restaurant than a traditional pub. Meanwhile, Camden Irish-pub Quinn's has been painted a lurid shade of yellow for as long as we can remember — but nothing in its name suggests our colour. 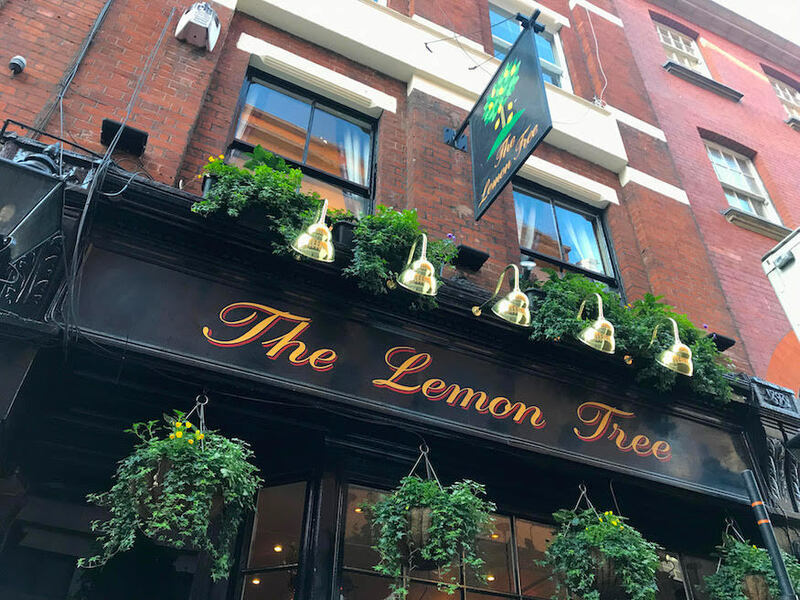 Instead we're going to plump for a Covent Garden stalwart in the shape of the Lemon Tree (lemon also being a shade of yellow). This small boozer on Bedfordbury is just about hidden enough to miss out on the tourist footfall, which means it's a good bet if you're after a peaceful pint in this part of the West End. The Green Man is another common pub name. London has at least nine Green Men, three of which are within a very short walk of one another in Soho and Fitzrovia. We're plumping for the Riding House Street venue. For one thing, it's painted green inside and out. For another, the place — pretty much unchanged in the two decades we've known it — has always felt extremely welcoming. The upstairs function room is also worth knowing. It's the perfect size for a birthday bash or office party. Image via the Blue Anchor. Central London contains numerous Blue Posts. You'll find a Blue-Eyed Maid in Borough, the Old Blue Last in Shoreditch and a Blue Lion on Gray's Inn Road. But blue is the colour of water, and so we turn to the Thames for our azure entry. 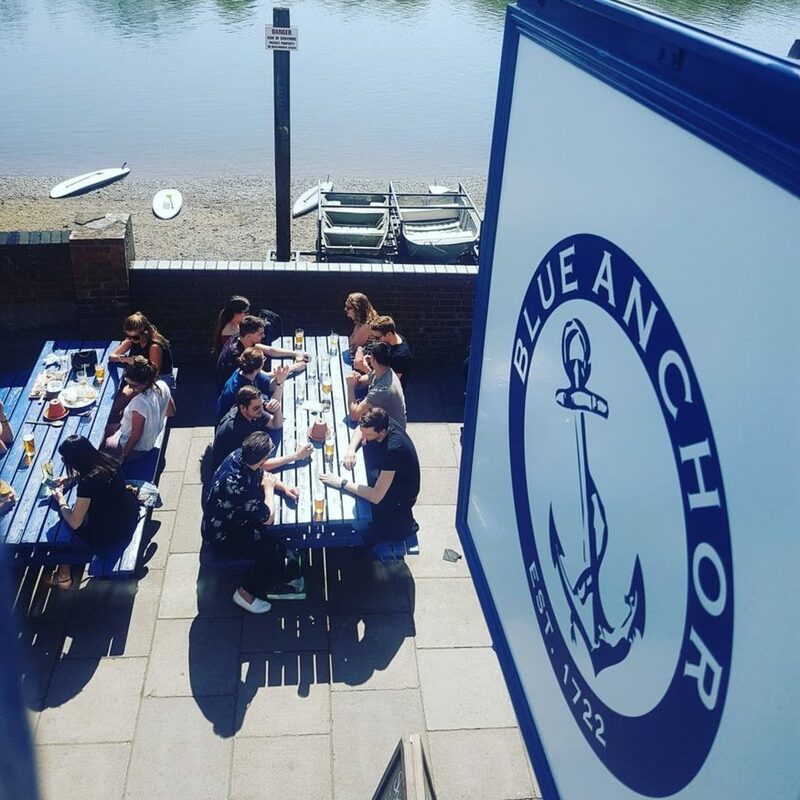 Among Hammersmith's many fine water-side drinking holes, the Blue Anchor feels the most nautical. It could be the location, on the apex of the river curve, or perhaps the ubiquitous paddles that decorate the panelled walls. Rain or shine, this is a fine pub to watch the Thames flow by. Indigo is a colour favoured by bars rather than pubs. The most central — and about as central as you can get — resides at Hotel Indigo in Leicester Square. The bar itself is nothing special. At least, nothing you can't find in any number of central hotel bars. Its big draw, though, is the view. 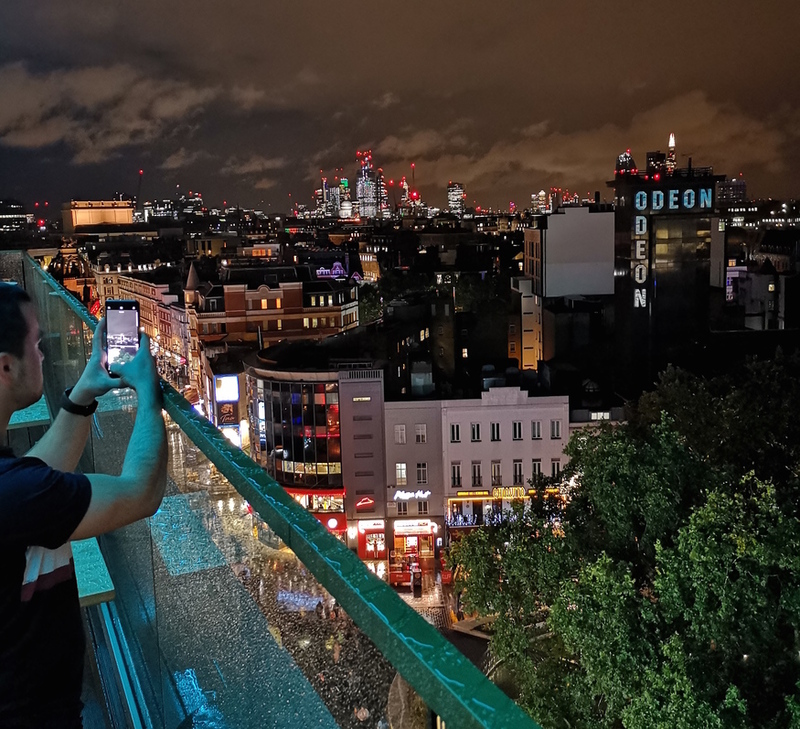 The rooftop terrace offers excellent sight lines over the West End. That includes a bird's eye peek at the Square's famous Odeon, which is itself lit up in indigo at night. With the closure of the swanky Purple Bar at Fitzrovia's Sanderson Hotel, drinking dens of this hue are hard to come by. Fortunately, the Mulberry Bush on the South Bank saves our rainbow. This comfortable Young's pub is an excellent place to dine, just a couple of hundred metres from the riverfront yet hidden from the masses. Unless, that is, something's filming at the nearby ITV studios — in which case it can get very busy with audience members. Now we've reached the end of the rainbow, you can find the Crock of Gold by seeking out the pubs of that name in Wembley or Ruislip.